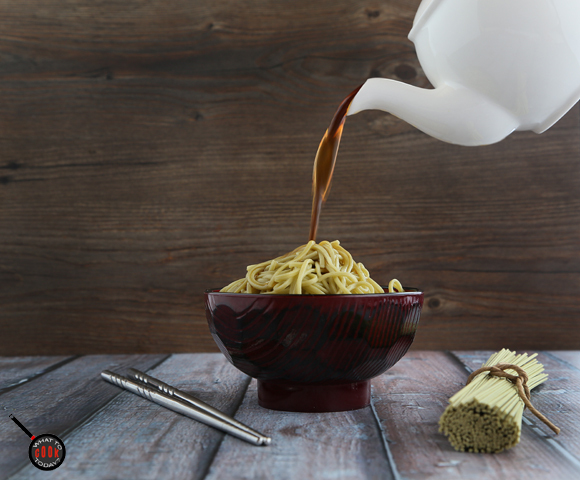 Cha soba (Japanese green tea noodles) with ment tsuyu (noodle sauce) is one of our family favorite. My daughter absolutely loves the regular soba noodles. She calls it “brown noodles” simply because of the color. She approached me the other day and said “Mommy, you haven’t cooked the brown noodles for a long long time”. I couldn’t find the regular soba noodles that weren’t made in China at the store I was at. We’ve been staying away from food products that are made in China as much as we possibly can. Even if they are labeled as organic. But I saw this cha soba and they are product of Australia and I went ahead and gave them a try. When my daughter saw the cha soba for dinner, she was elated!!! even though it’s not her regular favorite, she dug in right away and if I remember it right, she said “mommy, this is soooo good. You need to make this often”. My husband gave his two thumbs approval too. Loves the noodle and the home made men tsuyu sauce. The cha soba noodles is usually served cold. But some like it warm or room temperature. 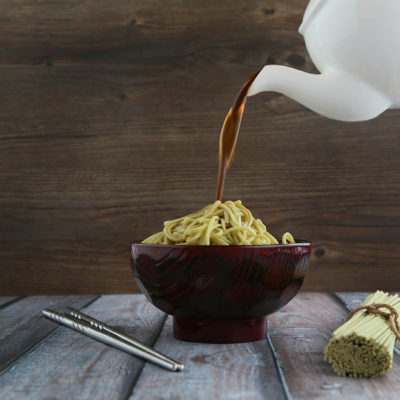 Men tsuyu sauce can be used for noodles like soba and udon. They are great to dip your tempura in too. They are so easy to make. I got the men tsuyu recipe out from the package of the cha soba noodles. Usually men tsuyu is prepared using Japanese ingredients like soy sauce, sake, mirin, kombu and dried bonito flakes. 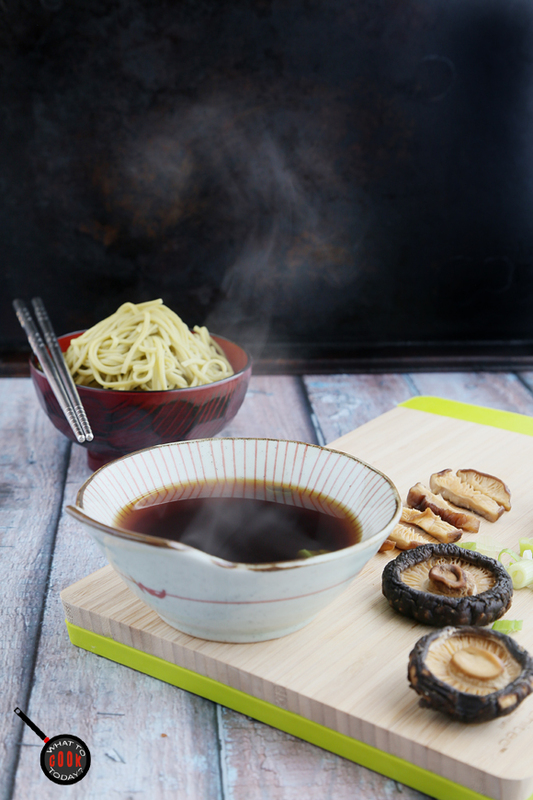 If you don’t have kombu and dried bonito flakes, you can still prepare the men tsuyu using shiitake mushrooms instead. It is still very delicious and gave you that umami flavor. This recipe is definitely a keeper for us. 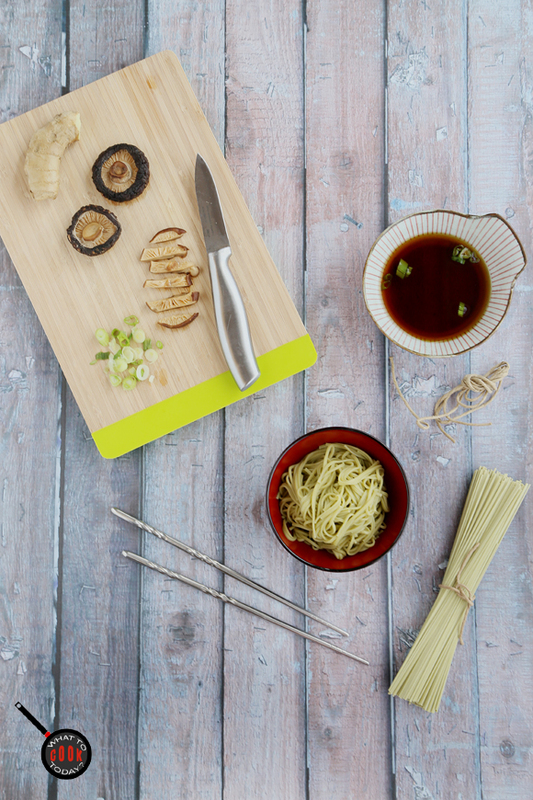 I love the noodles, but I had even more fun snapping and styling the food. Something is wrong with me maybe!! but I don’t mind it ! !